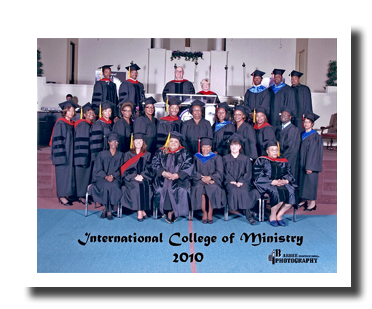 International College of Ministry is recognized by the Florida Department of Education as a religious school granting degrees including Associates, Bachelors, Masters, and Doctorate. We are an equipping, training, and activating program for all Christians in the full counsel of the Word of God. We are a place wherein students learn to interpret scripture hermeneutically, hearing the heart of the author, the Holy Spirit. We are an institution that advances the Kingdom of God by equipping believers and releasing them into their God-given calling. International College of Ministry is a non-resident learning center. One of the things ICM is doing to help student benefit more from the learning experience is to train and place Campus Directors in strategic places about the globe. These Directors are capable of providing prospective students with quality education and any necessary information about ICM. Degree courses can be completed entirely online. For more information call the ICM International Office and we will be happy to supply a name and telephone number of a Campus Director in your area.